Today business owners must efficiently leverage every asset and resource available to grow and protect their business. Security systems are increasingly being seen as opportunities to create a competitive advantage. 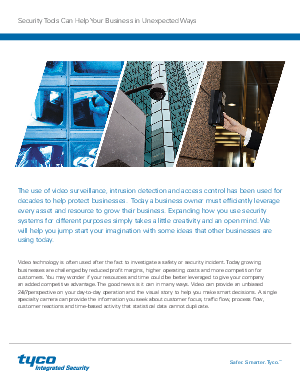 Learn how businesses are expanding how they use security systems to help them make smarter decisions and learn more about their customers that statistical data cannot duplicate.